Arbuthnot Commercial Asset Based Lending (Arbuthnot ABL) has supplied funding for Pyroban, a manufacturer of explosion-proof equipment for hazardous environments. Tim Hawkins, managing director of Arbuthnot Commercial ABL, said: “Pyroban provided an excellent opportunity to support a private equity‐backed business, outside of the control of a large multinational, to deliver the vital working capital required for the organisation to flourish. Arbuthnot Commercial Asset Based Lending delivers facilities to SMEs and lower mid-market corporates. It provides full asset-based lending facilities and cash flow loans in support of acquisition, refinancing, cash-out and turnaround scenarios. Private investment firm SEA Equity acquired Pyroban from Caterpillar in November 2017 in an accelerated carve‐out transaction. The Arbuthnot ABL business was established following the acquisition of Renaissance Asset Finance, and wrote its first loan in May. 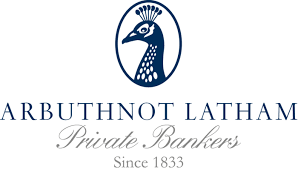 Last month Arbuthnot Latham set out plans to launch a secured lending division.